Water, Whole Soybeans (10%), Sugar, Coconut Oil, Whole Milk Powder (1%), Food Emulsifier (E471), Foo..
Water, Pearl Starch Ball (7.8%), Black Tea (0.75%), Sugar, Milk Powder (1.7%). 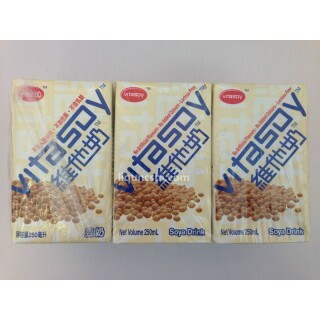 ..
Water, Soybeans, Malt, Sugar, Sodium Bicarbonate, Salt ..
Soya Bean Extract (65%), Water, Sugar, Soya Bean Oil, Salt. ..
Water, Sugar, Non-Genetically Engineered Soya Beans, Maltodextrin, Malt (Contains Gluten from Barley..